On 11 September, news broke about the Singapore Presidential election walkover. For the entire my evening, my newsfeed was flooded with people expressing their anger regarding not being able to choose their next president. Of the five individuals who had applied for certificates of eligibility, only Madam Halimah Yacob, former PAP Member and Speaker of Parliament, was declared eligible to run. Since November 2016, the Singapore Presidential Election 2017 has been fraught with controversy since the government decided to change the criteria. An individual from the private sector seeking to run for office is required to have experience and ability comparable to that of a chief executive of a company with S$500 million in shareholders’ equity for his most recent 3-year period of service as chief executive. Previously, it was S$100 million. I would like to clarify that it is not that people dislike Madam Halimah Yacob per se. Madam Halimah Yacob’s fulfillment of this ideal has been a clear advantage for her. People seem to be proclaiming about how she is a great leader without being able to point out any specific policy she has proposed previously or merely citing her many years of being in a public service job. That is the way politics work for the general populace, many people generally decide based on feelings and then look for facts to back up their viewpoints. Instead of disliking Madam Halimah Yacob, I believe that the changes to the criteria of the Presidential Election and the subsequent walkover is the reason for unhappiness among many Singaporeans. 1. Why is it okay to have a minority race president but not prime minister? In response to reserving the elections for one race, Singaporeans were told that it was because the Chinese majority would likely not elect a president on minority race. However, two particular situations have proven otherwise. First of all, most Singaporeans have expressed that they prefer Tharman to be a prime minister. In a survey of 900 Singaporeans, a whooping 55 percent picked DPM Tharman Shanmugaratnam over other Chinese hopefuls including DPM Teo Chee Hean, and Ministers Heng Swee Keat, Chan Chun Sing, Ng Chee Meng, Ong Ye Kung, Lawrence Wong, and Tan Chuan-Jin. 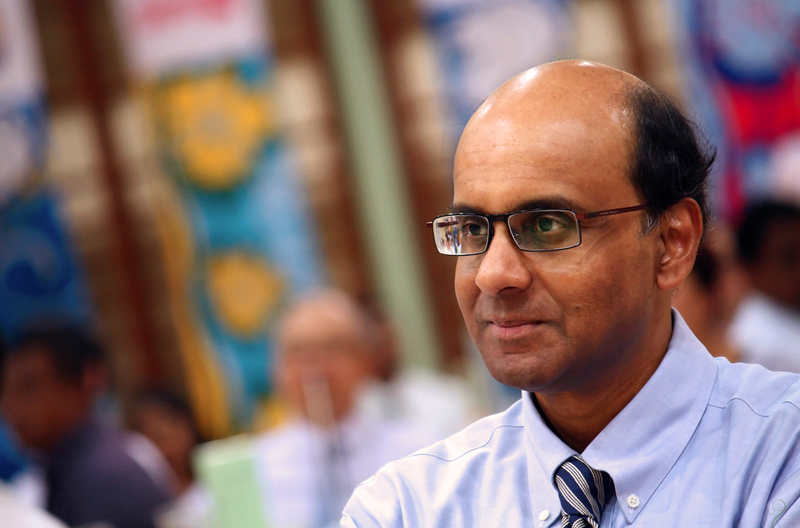 In fact, Tharman was a clear winner with 55 percent of respondents placing him as their first choice followed by DPM Teo at 17 percent. Also, it wasn’t too long ago that a minority candidate won 1-1 against Singaporean Chinese candidate. At a recent Bukit Batok by-electons, Mr. Murali Pillai had won against Dr. Chee Soon Juan, garnering 61.2 percent of the votes. Say if our leaders really believe in diversity, why are we not advocating have a Prime Minister from a minority race? Despite calls from the public for Tharman to be our next PM, the six candidates are middle-aged Chinese men, just like all the Prime Ministers we’ve had before that. Singaporeans are then told that the country is not ready for a non-Chinese Prime Minister. While unintentional, what kind of message are we really sending across if we tell people that it is okay if minorities are in a position of less power and influence such as the president but not the Prime Minister? Another consequence of reserving the election for one race is that it may end up unintentionally reinforcing stereotypes instead. 2. Why has our first elected president suddenly changed from Ong Teng Cheong to Wee Kim Wee? All along, government websites and Goh Chok Tong having in the past declared Mr. Ong Teng Cheong as the first elected president. However, the past six months there has been a complete review. Instead, Mr. Wee Kim Wee, for the purposes of this PE, has been declared as the first elected president. This is despite the fact that no one has ever elected him! 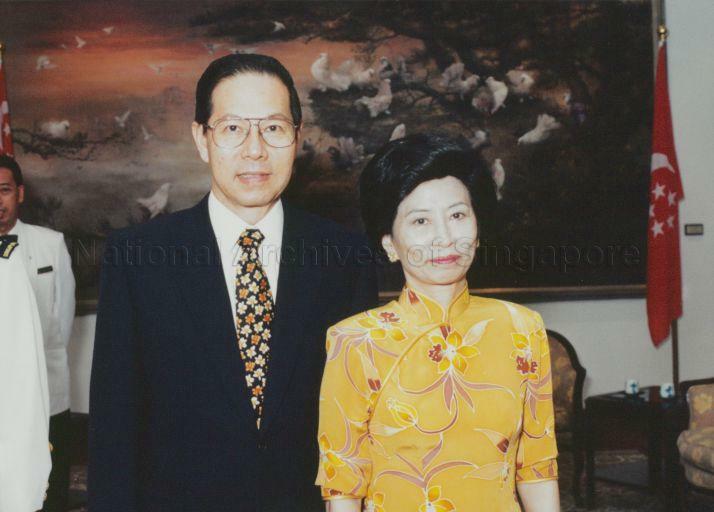 MP for Aljunied GRC and The Workers’ Party Chariman, Ms. Sylvia Lim, asked if the schedule should start with President Ong Teng Cheong, who in 1993 became Singapore’s first elected President. She questioned if the decision to start with President Wee was an “arbitrary and deliberate” one by the Government to “achieve a desired outcome”. Sylvia Lim attempted to seek clarification on this matter for the parliamentary sitting on 11 September and filed an adjournment motion “Counting from President Wee Kim Wee or President Ong Teng Cheong for Reserved Presidential Election – Policy Decision or Legal Question”. This was unsuccessful. On 30th August, the Parliament notified MPs that there were two other adjournment motions filed on 29th August, namely “Community Sentencing and Other Rehabilitative Options” by Mr Murali Pillai (Bukit Batok) and “The Future of National Service” by Mr Vikram Nair (Sembawang). After balloting, the topic by Mr Murali Pillai was picked and Sylvia Lim was not able to speak on her adjournment motion. 3. Is reserving the Presidential Election for one race meritocratic? Since young, Singaporeans have been brought up to believe in the concept of ‘Meritocracy’, that as long as we had the capability and worked hard, we would be rewarded. Imagine you are playing a game, any game. Monopoly, Table Tennis, Fifa ’17. Now imagine that game has been going on for twenty-four years. Different players qualify, different players compete, and ultimately one wins. After both JB Jeyaretnam and Chiam See Tong won seats in 1984, they introduced the GRC system in 1988. After Low Thia Khiang won Hougang in 1991 and the SDP won 3 constituencies, they increased the size of GRCs from 3-4 to 5-6 in the 1997 GE. After Tan Cheng Bock almost won the last presidential election in 2011, they have – once again – gone back to change the Constitution, to introduce the “Reserved Election” which allows them to bar all Chinese from such an election, including someone like Dr Tan. 4. With Halimah Yacob vacating her seat, why is there no by-election? In response to the above question raised by The Workers’ Party MP Pritam Singh in Parliament, we learnt that the Prime Minister will not call for a by-election in Marsiling-Yew Tee GRC. By law, our GRC system mandates that there should be one minority candidate per GRC to ensure representation. After Halimah Yacob vacated her seat to participate in the Presidential Election 2017, a by-election was not called. Instead of having a by-election, a Grassroots Advisor, Mr. Shamsul Kamar, was appointed. He was the People’s Action Party’s branch chairman in the Kaki Bukit ward of Aljunied GRC. Does this mean that Government agencies will now accord Grassroots Advisors with as much recognition as elected MPs when residents attend Mt-the-People Sessions seeking help? Also, does this mean that these unelected Grassroots Advisors can take on other roles that presumably only MPs can undertake? With these questions raised, it is no wonder that Singaporeans are upset about the presidential election walkover and taking to social media to voice their frustrations about not having a choice. But, what can complaining online achieve? Nothing really. We are still at least two years away from the next parliamentary general election. My guess is that many of the frustrations that some may feel right now is likely to be forgotten within the next few weeks. Furthermore, in the minds of an average Singaporean, the achievements of the past and foundations built by the old guard is sufficient to give the mandate to those who never took part in those achievements. What can then effect real change in the long term? Well, changes in our constitution would require two-thirds of the Parliament to vote for it. Since the General Elections 2015, 82 out of 89 seats are occupied by one party. Many have expressed that it is akin to handing someone a blank cheque to do whatever they want. With only 6 MPs in parliament who have the right to vote, the Workers’ Party can raise all the important issues in parliament until the cows come home… but they won’t be taken as seriously. Everyone has a different opinion on how many opposition members we need in Parliament but what majority of us can agree on is that there needs to be suffi to serve as a check and balance. What do you think? If you feel that this post has resonated with you, feel free to share it with your peers.